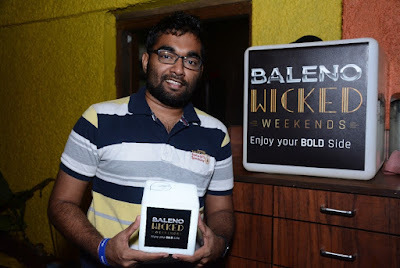 Baleno Wicked Weekends – My Experience. What are the most exciting ways to add zing to those hours between late evenings and early mornings? Well, those who understood what's on my mind, are absolutely right – I am indeed talking about nightlife entertainment. And what's a better place than a club to feel and taste that flavor? This is the world of crazy parties that let you forget the rest while you let your hair down and indulge in everything that uplifts your spirit. Welcome to the world of urban nightlife. Being a true-blue Mumbaikar, I always look for opportunities to let myself go and have a whale of a time, celebrating life as it comes. In a recent event of things, I happened to witness one such crazy night that is sure to remain in my memory for years to come. It was a bold night of Baleno Wicked Weekends that took my breath away with everything it offered to me. I was awe-inspired, really! If you are reading this and exhilaration has already reached your head and heart, well, that's what the sensational night did to me. Mumbai's Bonobo was the venue for the snazziest party I'd ever attended. Much to my excitement, Baleno had brought the music sensation Dualist Inquiry (Sahej Bakshi) on board; the talented artiste ensured the place looked cooler than ever before! I've always been a fan of Dualist Inquiry but to see him perform live was a terrific experience altogether! Dominated by a great young crowd, the party gave me a chance to connect with some like-minded people while we grooved to the talented DJ's peppy compositions. Baleno, one of the brands of Maruti Suzuki's Nexa, is currently on a tour to host several splendid Baleno Wicked Weekends parties across India for those who have Baleno spirit in them. In case you are not from the city of dreams, don't fret. 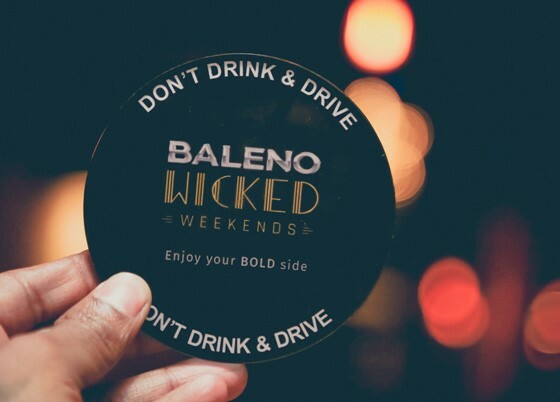 Baleno Wicked Weekends isn't restricted to Mumbai only. It's been spread across six cities in India – Delhi, Mumbai, Pune, Bangalore, Kolkata and Chennai – to celebrate bold sides of party-goers. India's longest party marathon, Baleno Wicked Weekends is a 40-weekend-long celebration. Which means, there are many more crazy nights awaiting hard-core enthusiasts to have a ball. I was overwhelmed to witness spirited Baleno owners and potential customers enjoying together the night that only got bolder by the moment. A little more on Bonobo because, well, why not? The pub indeed turned out to be a spectacular place, clearly designed to match the bold attitude of the crazy crowd. Baleno's boldness and wickedness were in the air and I, like everyone present, too just dived into that energetic spirit. It's great to see brands like Baleno providing such a delightful experience of nightlife. Pune – 25 Nov 2016. Chennai – 03 Dec 2016. Pune – 17 Dec 2016. To help you with even more details, I've mentioned few links below that will lead you to the world of bold Baleno Wicked Weekends. As I conclude, I would like to tell you all that these nights of wickedness must be visited at least once. My experience has been overwhelming. Hope you too have a great one.